Sometimes a smaller limousine just won’t do and you need something to reflect the grand nature of your event. This is where Party Express Bus comes in. With a full range of buses that are amazingly decorated, each one is unique so it will fit a different sized party and a different theme. While many Tulsa limo services can only provide solemn black vehicles, this company only deals in celebration and fun. This isn’t a cheap option, but the only one for those who want to make a splash when they arrive. The main aim of miLimo Tulsa when it comes to your wedding day is to make sure you never once worry about transportation. It is as simple as: calling them, arranging the date, choosing a car and then everything else will be covered by them. With less planning and stress you will be able to sit back in your beautiful town car or elegant stretch limo and enjoy the ride whilst having the peace of mind that everything is being taken care of. 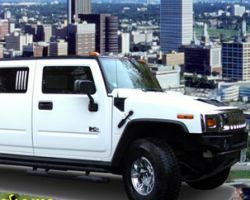 Knowledge of the industry is key when providing limo rentals in Tulsa, OK and that is just what Limo Services Tulsa has. 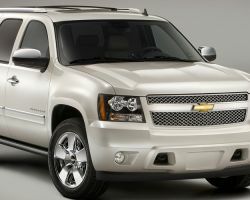 They focus on finding the perfect vehicle for you that matches your event. That is why their fleet is one of the largest in the whole country and why they keep a large database of contacts. 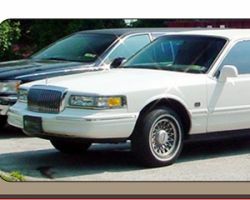 Every vehicle they offer, whether it is a town car or stretch limo, is guaranteed to be absolutely perfect. This has made them the number one choice in Oklahoma. If you want to make a statement on your bachelorette night or arriving at your wedding then Pink Pony Limousine Service is definitely for you. 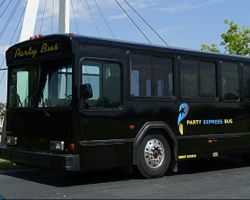 They specialize in making birthday parties, proms and every other event even more special with their unique vehicles. As you may have guessed, everything is pink and this makes them stand out amongst some of the bleaker limo services in Tulsa. 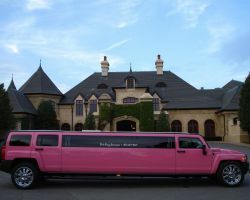 For the fun loving bride, to have a large pink stretch limo should certainly be on the list of must-haves. 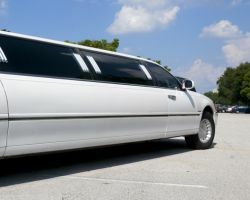 Many limo companies leave their services with too many options, which can be a problem when you have gone to the experts for advice and guidance. At VIP Limousine they know that most of their customers are too busy to pick and choose services. They have taken a new approach and organized their services into easy to browse packages that have clear and affordable prices. For prom limos, corporate transport, concerts, special events or weddings, they have a package to suit you. The services of Tulsa Tours are surprisingly varied for a company that started out providing tours of the local area. They have sleek sedans for airport transportation, van and buses for sporting events, larger limousines for day excursions and of course beautiful stretch limos for weddings. This is not even to mention the number of options they have for corporate events. This range means they have honed their service to provide exactly what each customer wants without interfering with their special day. All you need to do is read the testimonials that are left for Branson Limousine & Executive Charter to see what level of quality this company provides. As a premier limo service in Tulsa, they strive to reflect this reputation in each customer they serve. They have a full range of vehicles including: luxury sedans, executive SUVs, super stretch limos and more hardy limousines for tours. No matter which vehicle you choose for your special day, it will certainly exceed expectations by being immaculate and accompanied by a professional chauffeur. 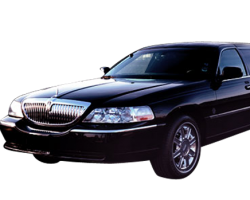 At T&M Limousine they focus on simple and straightforward service. Whatever you may need when it comes to transportation, they will be able to assist you. For their rates it is best to contact them directly as their team likes to assess each need individually so they can provide affordable and fair prices every time. Whilst their focus is mainly on local travel this does not mean they pay less attention to the quality of their service. In fact they constantly update and maintain their fleet to provide complete customer satisfaction.